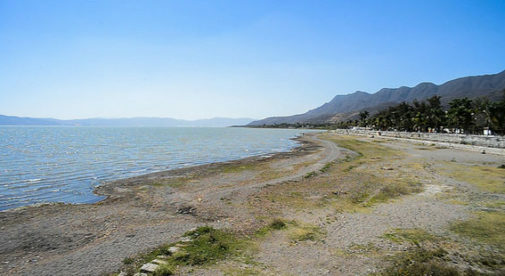 “Every day is sunny, it generally only rains at night, and the temperature for most of the year is between 65 F and 80 F,” explains Walter Heine, for whom the climate of Mexico’s Lake Chapala region was a big draw. After living in fast-paced, high-pressure California and working in the aerospace industry, moving to Ajijic was exactly what the couple needed. “Life here is like it was in the U.S. in the 1950s—simple and laidback. The significantly slower pace of life is probably the biggest benefit of daily life here,” says Walter. “We eat better, we get more exercise, and our health has improved. “Most people can live here on their Social Security alone. We only dip into our savings to travel to see our family. Our home cost us less than 25% of the cost of a similar home in the Bay Area of California. Our property taxes are about $150 per year. “Eating out is inexpensive—a steak dinner at the best restaurant is only about $12 and a dinner for two will only cost about $50. Groceries are also inexpensive as long as you avoid imported goods from back home. And household help costs about $3 per hour. The low cost of living means that you may be able to afford more luxuries than you are used to in the U.S,” says Walter. Health care is also affordable in Lake Chapala. The pair don’t feel the need to have anything more than catastrophe insurance, which costs $1,000 each per year, with a $3,000 deductible. “Before we left the U.S. seven years ago, we paid $1,200 as our 50% portion for a crown. The same crown here costs about $400 total,” notes Walter. In their opinion, dental equipment is on a par with the U.S. and operating rooms are at least as modern and advanced as what they saw back home. Groceries cost less in Ajijic, which means you can spend more money on trips visiting the rest of Mexico. The Heines have now been living in the Ajijic area of Lake Chapala for seven years and are enjoying life. Something of an artists’ community, Ajijic is a real Mexican village. As one of the towns along Lake Chapala’s north shore, it’s part of arguably the largest North-American expat community in the world, with anywhere from about 6,000 expats up to 10,000 or more, depending on the season. The area offers an almost infinite variety of social activities, and you can buy a wide variety of U.S. goods in the stores. Traveling to other areas of Mexico or back to the U.S. is easy, as well, since the Guadalajara airport, one of the busiest in Mexico, is only 30 minutes away. A typical day for the couple begins with breakfast overlooking the lake from their terrace, followed by walking their Australian-Shepherd puppy, Ruby, and then taking part in activities in the boys’ home or their church. They spend their evenings watching TV and talking. “We never had the luxury of just spending time together when we were both focused on careers, and it is a very special privilege for us,” says Walter. Of course, no week would be complete without their weekly Google Hangouts with their children back home. The couple believes that being connected with other expats is the best way to make the transition to a new culture smoother. “There are many opportunities to meet people through classes, volunteer work, sports, religious services, service clubs, and other social activities,” says Walter.